What we've got here is a lion made from old tires. 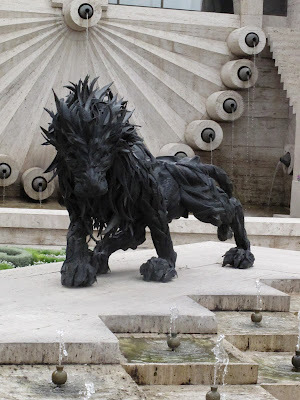 I found this creature rather striking - to me he looks like a grotesque mutant on the prowl. The first photo is my favourite. I think this beast would look even more impressive at night. 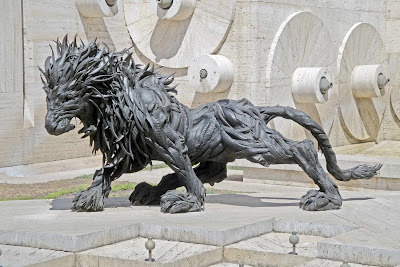 You can find this lion in Yerevan, Armenia. The author is a Korean artist - Yong Ho Ji . 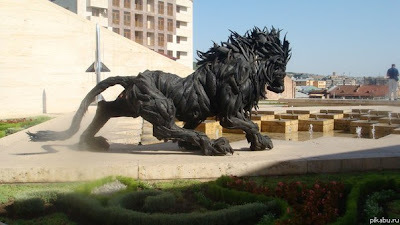 You can find even more tyre creatures on his website.